Many companies claim that they have the “Best service in the business” but few even have a way to measure how happy customers are. Here at Copy Systems Inc. we have a system that allows us to capture feedback after every service call. 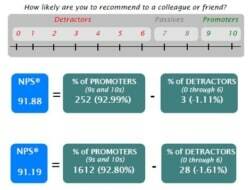 We use the Net Promoter Score system www.netpromoter.com. The average N. American company has a Net Promoter Score® of 10. Some well-loved companies reach scores into the 70s and 80s. 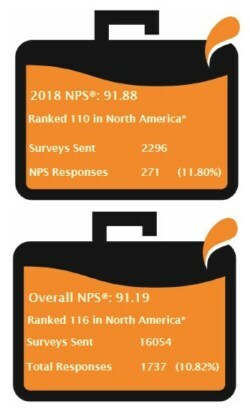 The Net Promoter Score (NPS)®, is a straightforward loyalty metric that holds companies and employees accountable for how they treat customers. It is both a loyalty metric and a discipline for using customer feedback to fuel profitable growth in your business. Employees at all levels of the organization understand it, opening doors to customer centric change and improved performance.